There was a time internet was seen as a way to pass time when you have a few hours to burn, but these days the perception is quite changing; internet is now a way of life. Internet is now an enabler and tool for personal and economical advancement. Of all the questions surrounding the internet, availability seems to be the main thing. Enters Flobyt. In February Don Jazzy launched our Flobyt Free Wifi; a wifi service that lets people connect to high speed internet for free. Yes, free! One of the major question everyone always ask is “how will they make their money?” But it seems Don Jazzy and other Flobyt Directors are rather focused on saturating everywhere with free wifi to solve the question of internet availability. This can be noticed as within 4 months, Flobyt Free Wifi has over 40 hotspots spread around Lagos state and still growing. We have serviced over 20,000 unique footfall users performing over 250,000 sessions with 3.7 terabytes of data used in the 4 month of its existence. 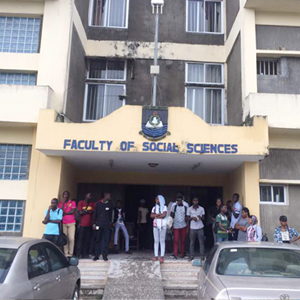 One of our biggest hotspot is University of Lagos, where students in different faculties have been empowered with free wifi to do anything they want to especially research. The response has been phenomenal. With hotspots cutting across universities, bars, lounges, hospitals and even religious centres, it’s right to say that Flobyt Free wifi is the biggest and the leading free wifi provider in Nigeria. The growth has been really awesome. There have been others who have attempted to replicate this model right after Don Jazzy launched it, but Flobyt has been coming up with different great features like the business and job portal. Our latest addition is the Android and iOS mobile app: Fluid mobile phone application with integrated map feature that lets you locate the closest free wifi hotspot to you. Undoubtedly, Flobyt is not just the first public free wifi service provider from Nigeria, but also the leader of the pack. During the last four months, we at Flobyt engaged our audience in such a way that to everyone, it is more than just free wifi but more of making the “free wifi” a lifestyle. You will notice that in our communications over Twitter and Instagram. And that is what users and venue partners love about Flobyt. Check out Flobyt app on Instagram and Twitter, you will love being connected to this new “free wifi” culture we are promoting. Copyright © 2018 Flobyt Technologies.